I am trying to be kind to myself. I am unwell, with flu-like symptoms. I’ve been houseband through most of my annual leave because it’s hard to breathe. I thought it was because I spent six hours removing mould from my bedsit last Monday and I thought that maybe I ingested some spores. Or something along those lines. Regardless, I just haven’t been able to get past my chesty cough, blocked nose, sore throat… I am finding the illness more frustrating than painful – I’ve spent the past three mornings feeling like I was on the mend, only to feel worse as the day progressed. 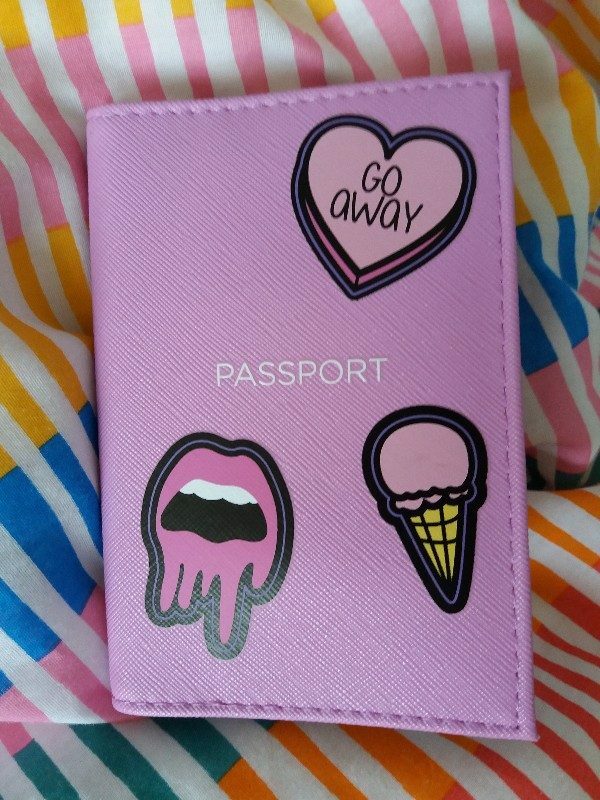 I feel like this will be a disappointing blog post, because they only thing of interest I have done is start a bullet journal for my new job (starting next Monday) and go to the local charity shop to buy a passport cover. I’ve lost enthusiasm for writing. I was asked to write an article last month and I liked the content but not the angle. But I wrote it and thought it was OK. I was asked to rewrite it earlier this month and just haven’t managed. I indirectly addressed the angle and it wasn’t good enough. And I just haven’t been able to write much since. I’ve asked to change my MA Creative Writing application to MA Education. As much as I’d like to do the former, my practice feels more relevant to the latter. This week will be a little bit busy because I’m at a content management system training day tomorrow, then I have a occupational health telephone interview. I’ll visit Brighton for my final feedback session, and go to the GP. So I might have some interesting things to write about later this week. Lucky you.